The cheapest option as not much really changes. 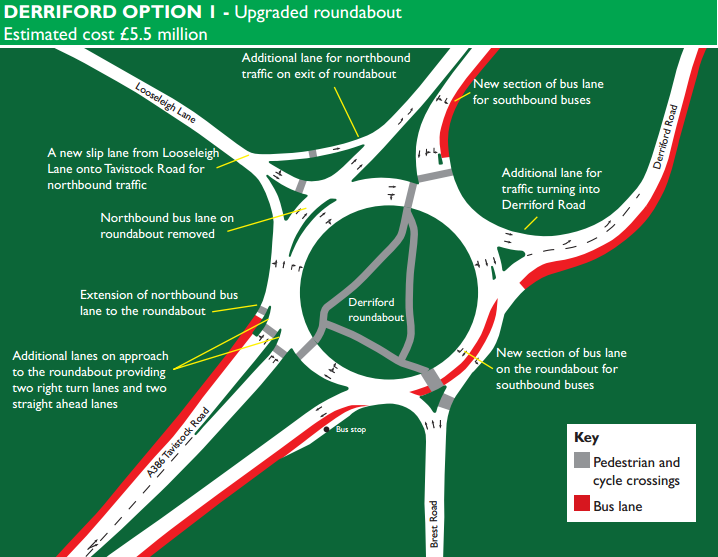 This is a more radical option as it does away with the roundabout altogether! Access to Brest Road is removed which I can see being a big problem here. 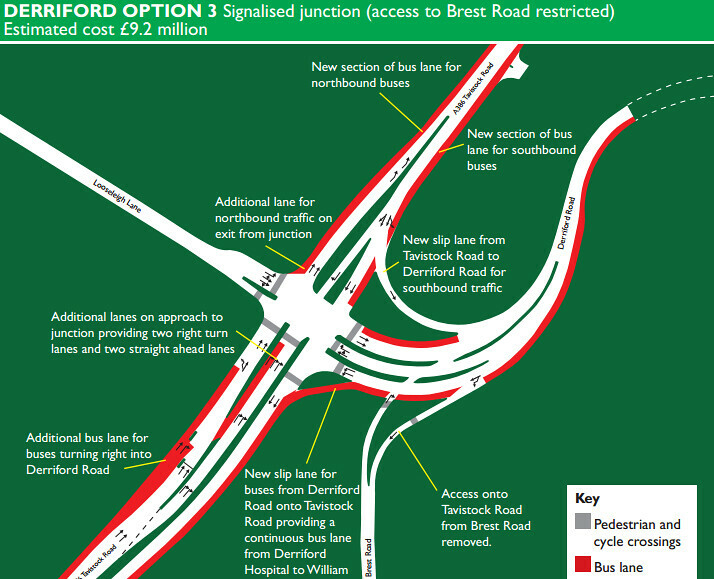 As a bus user this is not a problem for me but other colleagues where I work (right next to the roundabout) could have a longer journey if they cant turn into Brest road from the roundabout. 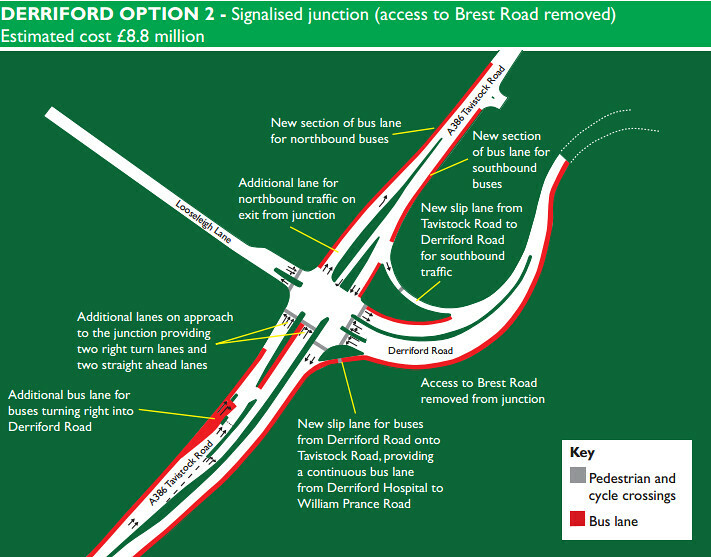 This is the better option in that it opens up access into Brest Road and also traffic out of Brest Road into Derriford Road. The comedy option, as I cant see any chance of this happening as its far to expensive and would look awful and probably would not make much difference to traffic problems in this area. 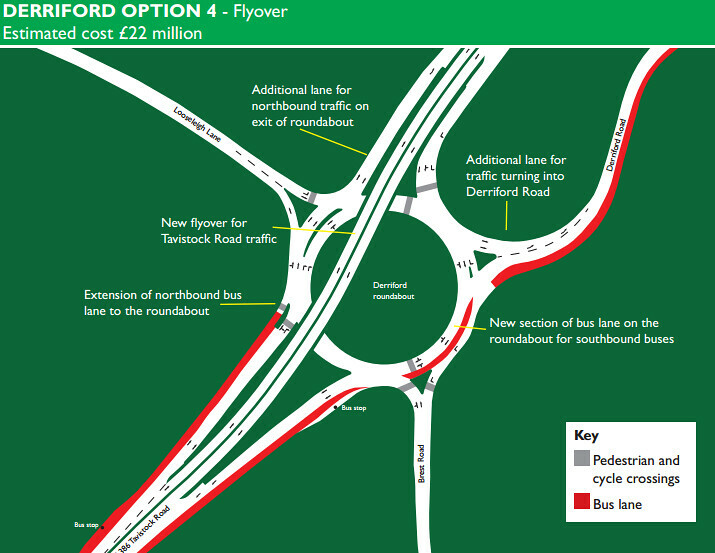 The consultation leaflet below provides details of the options we have been considering. 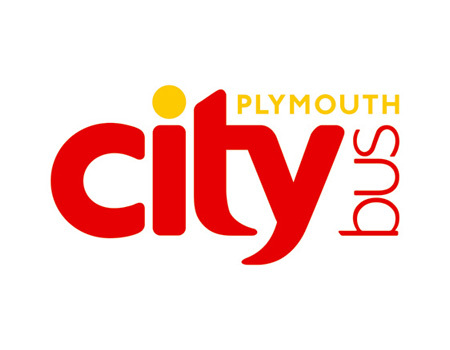 You can register your comments by completing our online survey, printing the feedback form and posting it to us or emailing transportprojects@plymouth.gov.uk. If you'd like more information or want to speak to us about the proposals please come along to one of our public exhibitions. Staff will be at the following venues to explain the options and answer questions. The closing date for this consultation is Monday 10 March 2014. This is going to be a big job and have a major impact on Plymouth as this is an extremely busy area at peak times. They need to get it right so please register your comments on their web site! Saltash Services 1, Had reports of the road being closed in the vicinity of Church Road by St Stephens, Longpark Road due to an incident. The service will operate in and out of Beatrice Avenue and around Spencer Gardens, Lyner Drive, this will mean they miss Long Park road, Church road & Broad Walk for the time being. Update when i have some more information. ROAD CLOSED - Beatrice Avenue, Broad Walk, Weare Road and Church Road is currently closed. 5/5A services are diverted via Long Park Road onto St Stephens Road. Police Bomb Disposal are on site. A NEW BUS FOR LEEDS First’s alternative to the New Generation Transport (NGT) trolleybuses would see up to 200 state-of-the-art buses being pressed into service on the streets of Leeds. Modelled on London’s Routemaster double-deckers, they would boast multi-door entry and exit points designed to cut waiting times at bus stops. into the network. The whole northern approaches to the City need a massive rethink, but there is no money and no overnight solution so jams will continue. Needs more encouragement to leave the car at home and use public transport links. I feel although expensive the best way to improve traffic flow id the flyover!! What ever happens Morlaix Drive/Brest Road must have access to the roundabout for ambulance response times to be maintained! The cheapest is.... how much??..... £5.5million!! For the difference it's likely to make what a monumental waste of money! 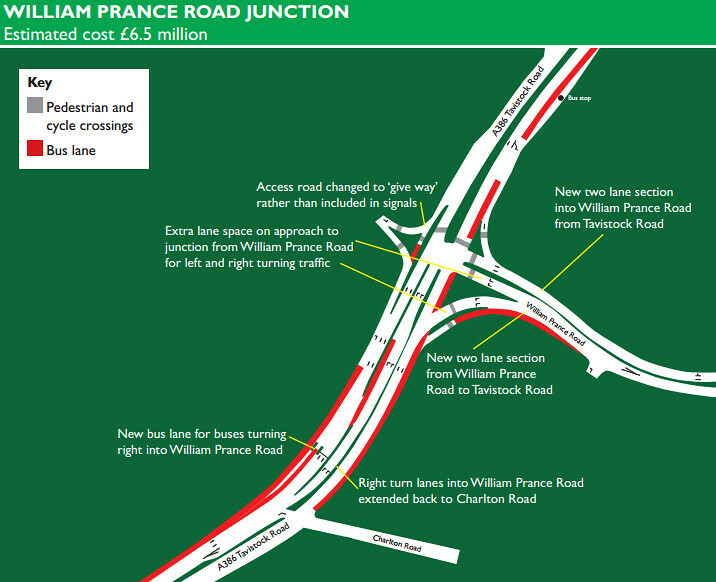 Surely such huge sums of money can be put to better use than just some tinkering at one (albeit very busy) junction....? What are they doing, making it out of gold leaf??? If the council truly believe ANY of these schemes can in any way be described as "value for money" then they need their heads testing!! It's amazing how blasé they are with other peoples (I.e. yours and my) money! Derriford Roundabout The City Council are so thick the best easiest and probably cheapest system is to stop messing around with the roundabout and remove the traffic lights from it and while they are at it most of the other roundabouts in the city as well that's what causes all the gridlock they really are idiots. I got a solution that will only cost the council £20! Turn the traffic lights off as we all know what happened the week the traffic lights failed - the traffic flow improved enormously. 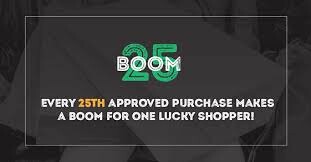 £20? Well for £20 I'll willingly come and pick up the keys and go to Derriford to turn the lights off! not very creative 'solutions' are they? They don't address the bottlenecks to the George and from Manadon. We were thinking last night of a City centre to Derrifird shuttlebus - frequent, regular, reliable.....save the staff a fortune. I mean - actually this roundabout as it is presents no problem, its just getting to it, from anywhere, that is the issue.